Leading creative communications agency jamjar is “beyond thrilled” to have been shortlisted in this year’s Cardiff Life Awards. The Cowbridge-based agency, which was founded in 2012 by communications specialist Lyndsey Jenkins, has been recognised in the Business Services category. 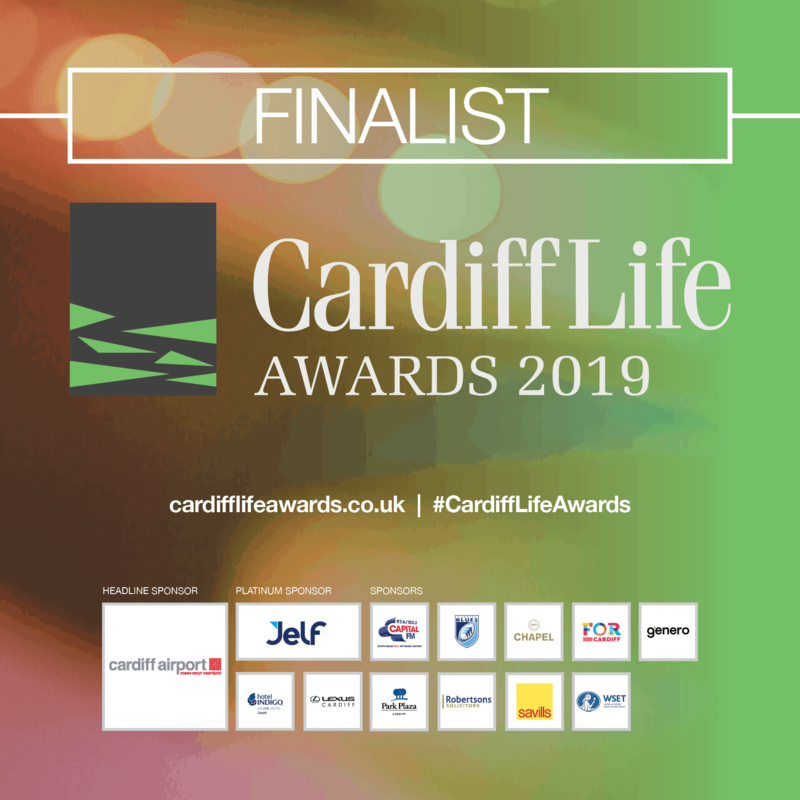 The Cardiff Life Awards, now in their fourth year, are a city-wide celebration of business excellence showcasing the professional achievements and innovation of companies across the Welsh capital. Shortlisted entrants are judged by a panel of independent expert judges with the winners announced at a glitzy awards event and celebration attended by over 400 business people and industry leaders at Cardiff City Hall. Jamjar is among those shortlisted this year thanks to its wealth of awards success and growth throughout 2018. Last year the agency, which specialises in PR, digital, social media, marketing, and creative, was among the biggest winners at the annual Chartered Institute of Public Relations (CIPR) Cymru Wales PRide Awards. The team took home a hat-trick of accolades, including wins in the Best Use of Digital and Best Healthcare Campaign for its work with Cwm Taf University Health Board, as well as an award in the Low Budget category for its cost-effective communications campaign for Visit the Vale. It was also the only agency in Wales to scoop a prestigious national CIPR Excellence Award in June beating international industry leaders including Facebook. Over the past six years jamjar has claimed over 20 coveted awards from the CIPR, Chartered Institute of Marketing (CIM) and the Welsh Business Awards. On their successful start to 2019, managing director Ms Jenkins said it was a “pleasure” to once again be recognised among Cardiff’s elite and shine a spotlight on jamjar’s innovative work. She said: “We are beyond thrilled to have been shortlisted in the Cardiff Life Awards’ Business Services category alongside some of the very best businesses in the city. “Last year was such a successful year for us at jamjar, and we are thrilled that all our hard work is paying off. “We pride ourselves on devising and delivering creative, strategic and impactful communications campaigns for our clients that make a real difference to their business and this approach is certainly paying dividends. “Our approach has allowed us to go from strength to strength over the past few years and work with some of Cardiff’s leading businesses and brands, so to receive recognition for the work we are so passionate about really is fantastic. 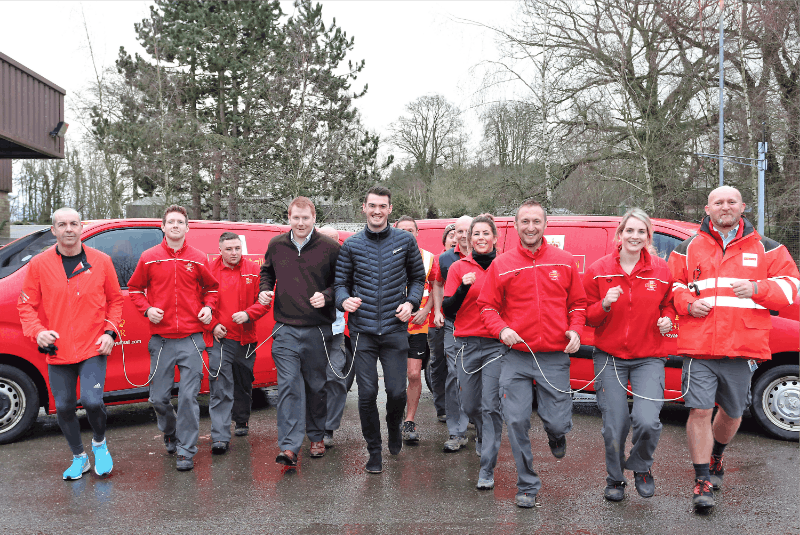 Thirty daring runners from the Royal Mail are preparing to take on a marathon world record challenge in Pembrokeshire in aid of a “sport-loving and happy go lucky” colleague. Staff from depots in Brecon, Llandrindod Wells and the surrounding areas, including 15 postmen and women – some of whom have never attempted a 10k run – will be bravely attempting to break the Guinness World Record at The Wales Marathon in aid of Cancer Research Wales. During the 26.2-mile event at the Pembrokeshire Coast National Park, the runners will be attempting to break the Guinness World Record for the largest number of people to complete a marathon while linked together. The highly unique challenge is being attempted in support of Royal Mail manager, friend and co-worker Phillip ‘Pip’ Morgan, who was recently diagnosed with cancer of the stomach. Mr Morgan, affectionately known as Pip, is a keen cyclist who is “loved by everyone” and “makes friends wherever he goes”. Following his diagnosis, his colleagues were left so devastated that they decided to take action and were spurred on by their sport-loving friend. Led by Mr Morgan’s colleague of over 10 years Neal Gardner, who previously broke the same world record in 2009 at the London Marathon, when 30 runners were tied together, the team is now aiming to beat the current record set in 2017 at 112 people. With 25 Royal Mail staff and 65 extra recruits in the team so far, at least 30 more people are needed to join them to break the record and raise money for Wales’ leading cancer charity. Delivery Office Manager Mr Gardner said: “We’ve been blown away with the response to this challenge with more people signing up to take part all the time. “Some of these people have never even run a 10k but they’ve been inspired to take part because of Pip and the great work that Cancer Research Wales do. “I’ve worked with Pip for over 10 years and he’s bonkers, he’s so happy go lucky and he wouldn’t think twice about jumping on a bike and cycling 120 miles. That’s just him. He’s always been incredibly supportive of me with my job and this is my way of thanking him and showing our support during a really challenging time. “Around 40 to 50 people taking part know and love Pip and will be taking part and showing their support for this lovely man. Everyone else in the team has been affected by, or had loved ones affected by cancer in some way too, so this is a really personal cause which is close to them. With the aim of raising around £70,000 for Cancer Research Wales, 33-year-old Mr Gardner has secured 120 places in the race, with 30 yet to be filled. He is now calling on any keen runners, or those who simply want to take part, to get in touch and sign up. All participants will be raising vital funds for Cancer Research Wales, which is dedicated to the pursuit of a cure for cancer by making vital progress into prevention, early diagnosis and better treatment. Dale Evans, fundraiser at Cancer Research Wales, said: “We’re delighted that Neal and his team are undertaking this incredible challenge to raise funds and awareness for Cancer Research Wales. “The money they raise will make such a huge difference to the lives of thousands of people diagnosed with cancer across Wales annually, and we truly can’t thank them enough. “As a charity we are reliant on the generosity of our fantastic supporters in order to fund life-saving research into the prevention, diagnosis, and treatment of cancer. So it’s thanks to our amazing supporters that we are able to continue making a difference. 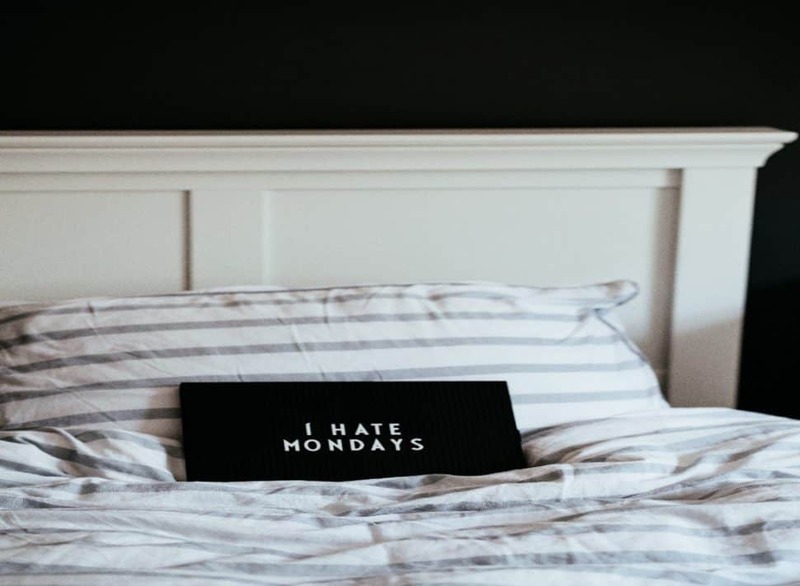 Let’s be honest – January is a long, cold, and slightly disorientating month when the only thing you really want to do is hibernate until February. Sadly, for many, that is not an option. So, shedding your pyjamas, venturing out of the house and facing the world is an inevitability. For those of you getting back into the swing of it this month, planning ahead for your news , PR, digital, and social media content in 2019 might seem ever so slightly daunting. However, this could actually be the ideal time to get planning and get one step ahead of the rest. This is especially true if you are looking ahead at maximising potential PR, social media, digital, and media angles for the year. Many natural PR, editorial, and social media opportunities crop up around special calendar days and national days, and now is the time to start planning these in and pitching to the media. Many online sites are devoted to detailing every traditional, unusual, and sometimes strange, calendar observances throughout the year, which you can tap into. 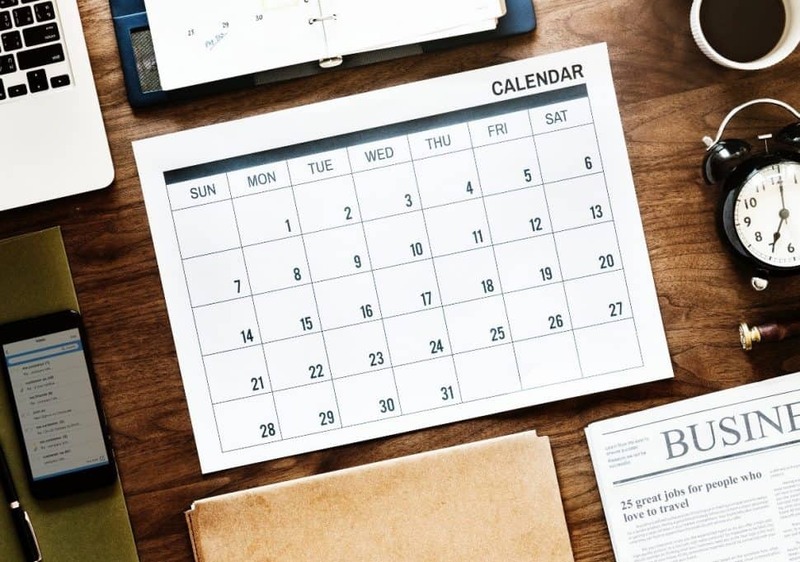 A quick search online should lead you to national and UK-wide calendar days throughout 2019. These can range from health awareness initiatives, such as National Obesity Awareness Week running this week, to general awareness days such as the gloomy Blue Monday on January 21, to slightly obscure celebrations such as Popcorn Day on January 19. Whatever your business and its focus, these upcoming events could prove to be especially useful when you’re planning your media and PR activity for the year. Take for example, Data Privacy Day; Spouse’s Day; and eDay, which are all set to take place this month. For legal or intellectual property firms, both eDay and Data Privacy Day could be prime opportunities to promote their services and create an article, specialist feature, or advice-led piece around. Or you could tap into the social media aspect of these days, creating a bespoke social media calendar offering data privacy top tips every few hours, quotes from experts at your firm, gifs, video interviews, and links to articles, which could really bring your social content alive. Always remember to also use any relevant hashtags to ensure you are part of the national discussion. Equally, Spouse’s Day could also be another opportunity for legal firms to discuss their services either through an article or social media. And why not utilise your internal digital channels too? Upload case studies to your website’s news section detailing the common mistakes couples make when creating a prenuptial agreement. Add Q&A and expert opinions from your family solicitors, and even upload videos with interviews with staff offering advice to couples. If this is all tied into and published via your social media accounts then you’re ensuring even more publicity and coverage. While Static Electricity or Kid Inventors Days could prove to be useful for educational or science-based businesses looking to tap into something a little bit different this month. Why not create online tasks for budding kid inventors on your website? This can then be tied into your social media and promotional messages. There’s an abundance to choose from, with everything from the sublime to the unusual set to take place. Planning ahead will enable you to truly maximise natural PR, digital, and social media opportunities and media hooks which arise throughout the year and are often jumped on by the media. Allowing more time to get organised will allow you to plan a more thorough multimedia approach around these special days, which not only provides editorial coverage through press releases and features, but also social media, design, and video. And if you really can’t find a calendar day to suit your business needs, there’s always Chocolate Cake Day on January 27 for you to enjoy! Bus stop alterations and route changes are set to come into effect from January due to the demolition of Cardiff’s St David’s House in the city centre. The area, which is located on Wood Street opposite the new Central Square development, is being redeveloped and will see the withdrawal of the existing bus stops on that street from Sunday 6th January. These include service 4, which will depart from the Royal Hotel bus stop on Westgate Street; and service 18, which will follow the same route as service 17 entering the city centre via Westgate Street, not serving Wood Street, Tudor Street or Clare Street. Additionally, from 6th January, services 54 (to Cyncoed), 95A, 95B and 95C (to set-down) will use bus stop JV on Wood Street which is located outside Southgate House. Services 92/93/94 will start and end at stop JQ,a new bus stop located on the opposite side of the road, outside the new BBC Wales building. Service 95 to UHW Heath Hospital will move to Westgate Street stop KP. Finally, services 96 and 96A will enter the city via Westgate Street and set-down at stops KD and KH; service X45 from Cardiff Bay Retail Park towards St Mellons will travel straight to Westgate Street (Royal Hotel); and Capital Links service X91 will start from Canal Street instead of Customhouse Street. Commercial manager at Cardiff Bus Gareth Stevens said “With the demolition of St David’s House set to take place in January, we are alerting our customers to a small number of bus stop and route changes. “From January 6th services from Wood Street will be departing from different stops while this work is undertaken. Cardiff Bus’s information centre will also be relocating from the city’s library to Westgate Street in 2019, with more details on the date set to be released in the new year. Alongside this the trial extension on service 98 will end and the service will revert back to its pre-September 2018 timetable. 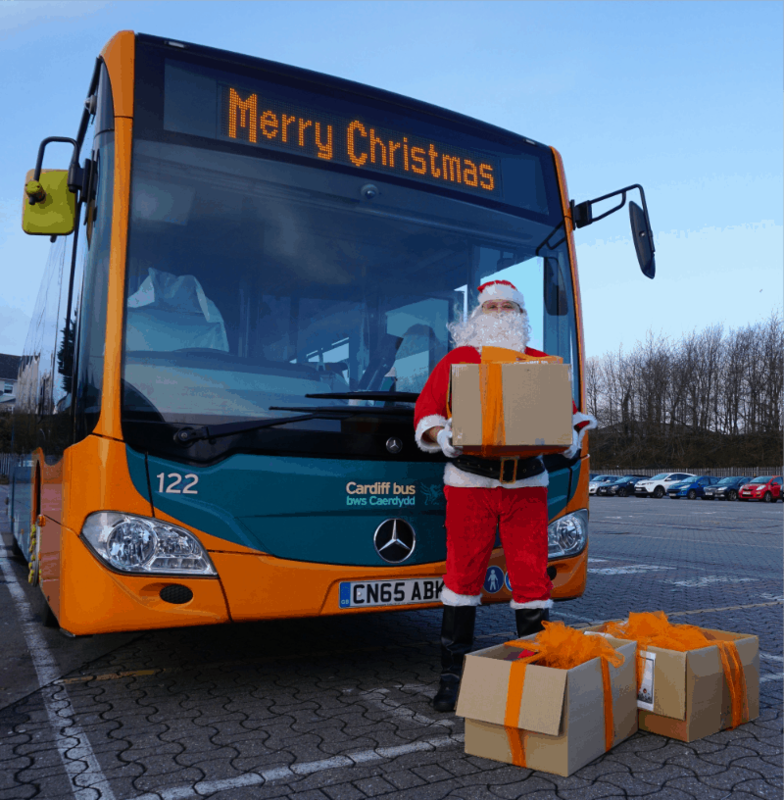 Cardiff Bus took over from Santa’s sleigh in December when it made a special festive delivery to dementia patients at a local hospital. Cardiff Bus staff transported an abundance of donated gifts to Llandough hospital on December 21st. Gifts including chocolates, perfume, socks, books, and nail varnish, which have been collected by Cardiff Bus staff throughout December, were delivered to patients during the day. They were gifted to those being treated on Ward East 18, which provides specialist support to people living with dementia and other progressive brain diseases. The donations are part of Cardiff Bus’s ongoing charitable support of the ward, with staff having hiked up Penyfan, and undertaken the Cardiff Half Marathon to support its vital work and its facilities. Earlier in 2018 it also donated one of its bus stop signs and timetable displays to the hospital, in a bid to prevent patients living with dementia from becoming unsettled and anxious during their stay. Cardiff Bus commercial manager Gareth Stevens said they were delighted to support the “invaluable” ward and its patients during the Christmas period. He said: “Christmas is such a special time of year for everyone, so we were pleased to bring a little bit of festive cheer to the patients at Ward East 18. “Ward East 18 and Llandough Hospital provide such invaluable care to people living with dementia across south Wales and their families, so we are only too happy to support their work. 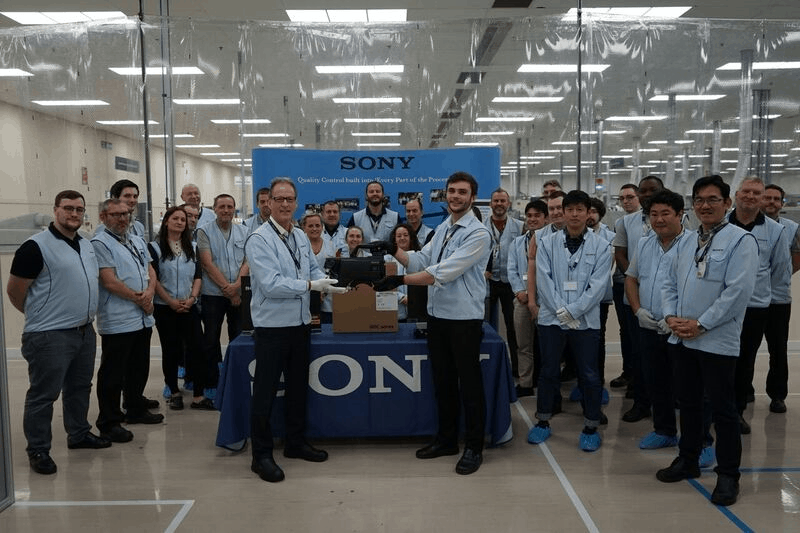 The next generations of world-renowned 4K cameras and equipment are set to be manufactured at Wales’s leading facility Sony UK Technology Centre. The innovative new higher specification HDC3170 and HDC3500 broadcast camera models are now being manufactured and shipped from the Pencoed-based site. Both new cameras, which will be utilised in some of the world’s leading sporting, news, and entertainment events, will support premium HDR picture quality, utilise a higher frame rate than previous models, and are backwards compatible with old camera control unit models. Alongside these, Sony UK TEC’s expert production team is also set to manufacture the new Triax Camera Control Unit, HDCU3170, which will build on the capabilities of the previous model launched earlier this year. In total, the Welsh manufacturing site will oversee the creation of two new 4K cameras and seven additional pieces of supporting camera equipment, which will then be shipped to customers worldwide. Sony UK TEC was chosen as the only manufacturer outside of Japan to undertake the prestigious project, thanks to its success in manufacturing the previous 4k last year. Since November 2017, it has gone on to produce 404 4K camera units from its state-of-the-art site, and even configured, upgraded, tested and sent 371 4K camera systems to Russia earlier this year to be used during the 2018 FIFA World Cup. On Sony UK TEC’s latest 4K launch, director of professional services Gerald Kelly said it was an honour to be selected to manufacture the latest generation of 4K technology. He said: “We are delighted to once again be playing such a vital role in the creation of the next generation of 4K broadcast camera technology, which places us at the forefront of manufacturing innovation and excellence globally. “We feel that our selection for this project underlines the world-leading capabilities of our expert teams and state-of-the-art facility here in Pencoed and we look forward to supporting its continued growth and success over the coming years. Christmas is frequently referred to as the most wonderful time of the year. However, financial pressures, increased family tension, overindulgence with food and alcohol, and the pressure to socialise are all likely to create added stress during the festive season. This can be overwhelming for most people, but how do you cope if you’re living with mental health issues? To help people navigate the inevitable pressures Dr Sian Hughes, a Registered Forensic Psychologist at Ludlow Street Healthcare’s specialist mental health facility, Heatherwood Court, offers advice on how to effectively manage your own, or a loved one’s, mental health this Christmas. What issues commonly face people with mental health at Christmas? 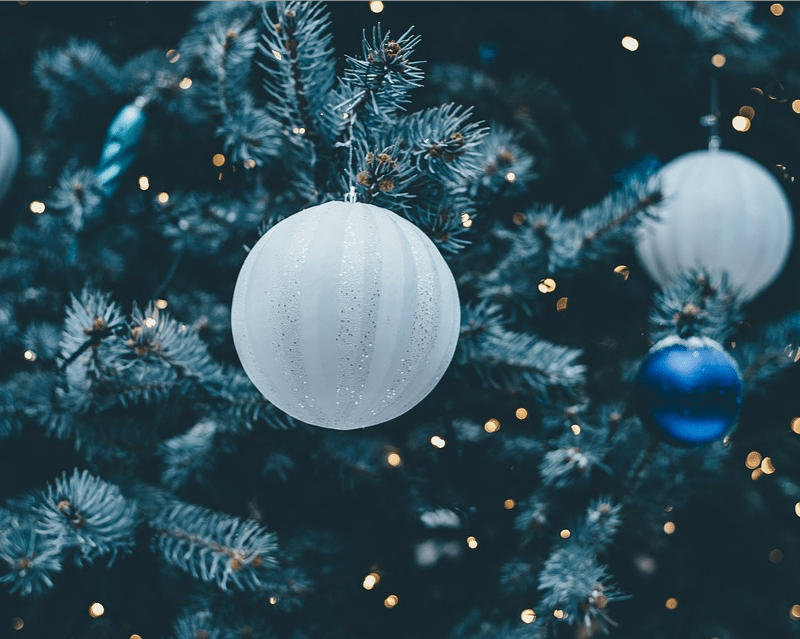 Balancing the disappointment of expectation versus reality, along with various pressures, can be difficult at Christmas, but when you are already struggling with emotions it can be overwhelming. In addition, for some people they have never had the ‘magical’ Christmas featured in the films. In fact, for some it has been a painful time for them. These mixed feelings can affect a person’s thoughts, emotions, and behaviours. Some people may talk about hearing voices or seeing things, while others may feel as though things are ‘unreal’ around them. People may have nightmares or thoughts about past difficult times that they cannot get out of their mind. Most people can feel overwhelmed by sadness, shame, or anxiety, whilst others may feel an absence of emotion. As a result, people suffering with mental health problems may have very mixed feelings about Christmas and New Year. Managing these emotions can be difficult, and unsafe behaviours may increase. Some people may choose to avoid this time of year and the feelings it brings, maybe by sleeping more, avoiding family, becoming irritable, over using prescribed or unprescribed medication, or drinking more alcohol. What can families do to minimise or prevent any distress? Families are often aware that Christmas and New Year can be difficult for their loved ones, especially if they are in hospital. They may avoid talking about their Christmas plans to minimise upset, however, this can often make the person feel more excluded. Talking openly with them about this can help reduce distress. People with mental health have the best idea of what is most helpful for them and treating them as the ‘experts about their own mental health’ is the best approach. Where possible, families should include the person in their plans, but these may need to be adapted to prevent distress. For example, it may be better to host a quieter family party at New Year rather than invite lots of unknown guests which could add to the person’s social anxiety. If a loved one is in an inpatient setting over Christmas and New Year, if you can’t be with each other on Christmas Day, it might be useful to arrange a special family lunch in the days before or after Christmas when some of the family traditions can be shared. What can people with mental health concerns do to minimise distress? It is really important to develop a ‘Coping Ahead Plan’ for how you are going to deal with this period. This would identify potential stressors, and where and when they are going to peak. Within this, should also be ideas on how you could cope with the emotions caused. 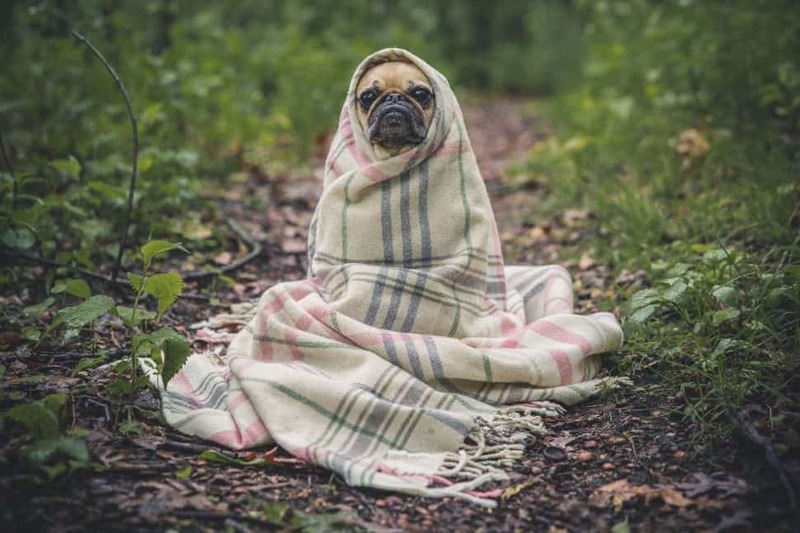 Self-soothing can be used to help cope with distressing emotions, such as taking a warm bath, walking the dog, or indulging in your favourite dessert. Assertiveness can be very helpful if you anticipate family tension. Asking for what you want or saying no to something, can be a way of preventing stress. For those, who would rather avoid this time of year, finding activities to keep yourself distracted can be very useful. Find something that can help you switch off from other thoughts, such as sport, or arts and crafts. Overall, It’s important to remember that this is just one part of the year. January will be soon be here. Try to search for those moments of happiness which will get you through. One of Wales’s leading specialist healthcare providers is ending the year with record numbers of staff undertaking qualifications and training courses. Ludlow Street Healthcare (LSH), which offers transition-focused healthcare and bespoke step-down services, including specialist assessment, treatment, rehabilitation and education, has invested heavily in staff training during the last year, with numbers leaping from 90 in 2016 to 500 in 2018. The Cardiff headquartered organisation, which supports adults with neuropsychiatric and acquired brain injuries, mental health issues, learning disabilities, and autism, has enrolled staff into leadership and management courses, as well as specialist health and social care training. 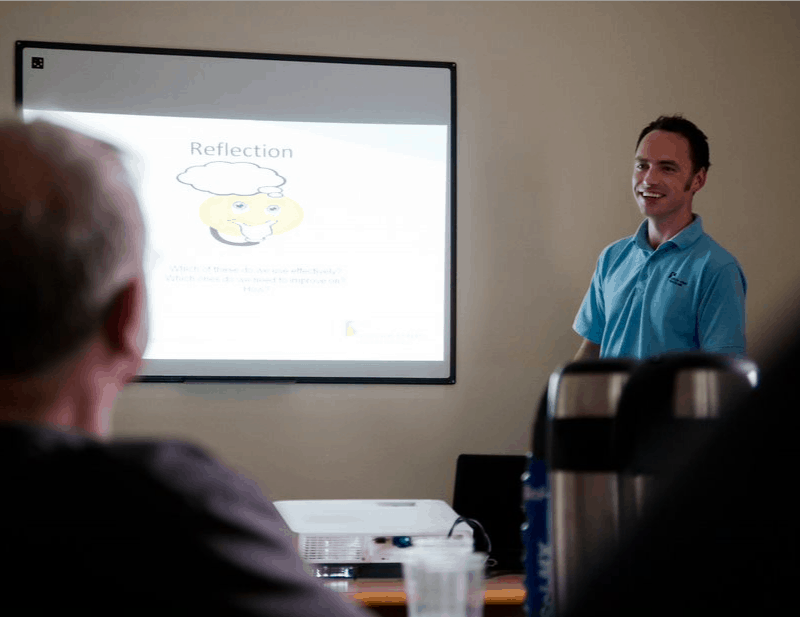 Recognising that its dedicated, multidisciplinary teams are the key to the success of its service users, the organisation has made a significant investment into staff training over the last two years. Training manager John Williams, said: “We are obviously delighted to have seen such a vast increase in the number of staff members undertaking qualifications and training. “To have over 40% of our staff currently taking part in training courses is a huge achievement and a testament to LSH’s dedication to its staff and service users. “We believe focusing on the positive ways in which we can support and empower our service users, is more beneficial for them long term; aiding transition towards a more independent life”. Ludlow Street Healthcare was set up in 2005 in response to a lack of appropriate NHS provision for people with mental health conditions. Ludlow Street Healthcare has developed a reputation for its person-centred approach, community-focused settings and specialist staff all of which have contributed to consistently successful outcomes for all its service users. For over a decade, it has worked in partnership with the NHS, developing services and investing in the necessary health infrastructure and staff training, to support patients on their journey to recovery and a more independent and fulfilling life, through step-down to community living – improving social integration and inclusion. The organisation operates a hospital for patients with neuropsychiatric and acquired brain injuries, a purpose-built secure hospital for patients with mental health issues, a learning disability rehabilitation centre, a specialist further education college for students with autism, and a portfolio of community homes accommodating residents with both mental health conditions and learning disabilities or autistic spectrum conditions. Since its inception it has supported and cared for over 220 people and it has seen over 76% of patients progress from low secure hospitals to community step down services within 12-18 months of being placed with them, regaining self-responsibility, independence and social integration. 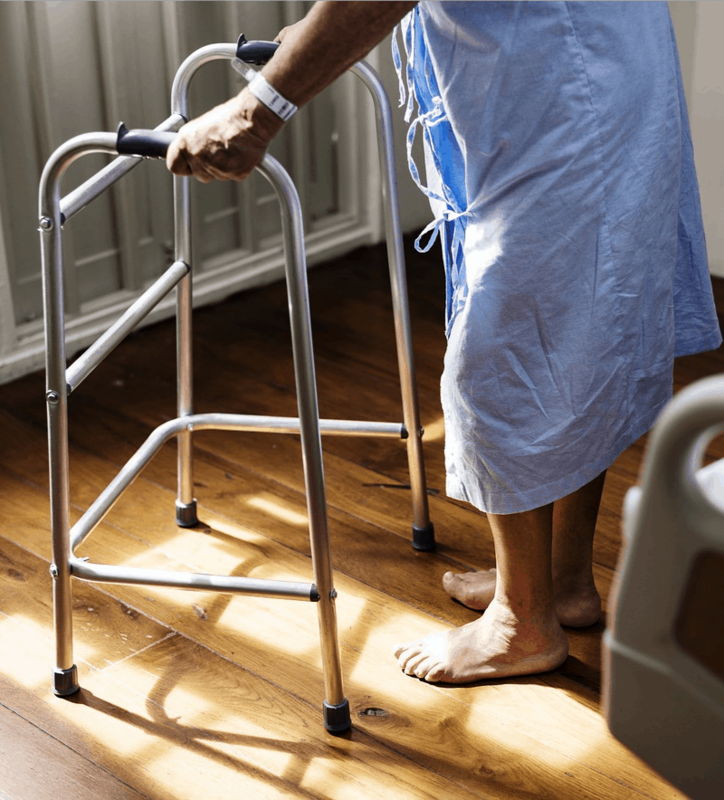 Care home managers, local authorities, and social workers across Cardiff are being urged not to “accidentally impair” the rights of vulnerable people by failing to follow best practice. Amy Roberts-Rees, the head of the Court of Protection team at leading firm CJCH Solicitors, is calling on professionals across the city to ensure they are “up to date” with legislations and legal developments in order to provide the best care to at-risk people. This comes after Cardiff and Vale of Glamorgan councils earlier this year revealed that they were “struggling” to keep up with the number of referrals for deprivation of liberty safeguards (DoLS). These come into effect when a person is unable to make decision surrounding their own welfare and require specialist supervision. According to the councils, they were dealing with a backlog of over 800 outstanding assessments, after seeing DoLS referral number reach more than 2,500 between 2017/18. In a bid to tackle this worrying upturn and ensure that vulnerable people are getting the correct initial assessment and care, Mrs Roberts-Rees hosted a Court of Protection conference at the Novotel Conference Centre in Cardiff. The special event aimed to better inform care providers across the industry, including local authorities, social workers, solicitors, and mental health assessors, of the legislation in this area, and prevent incorrect referrals or potentially damaging intervention. Mrs Roberts-Rees said she felt the event would help to make a “significant impact” in the welfare of thousands of people being cared for across south Wales. She said: “It is absolutely crucial that those working across the full spectrum of the social care industry are up to date on Court of Protection, DoLS legislation, and case law in this area. “The law changes so quickly and so extensively that care providers can quickly become outdated and may not be providing the most effective standards within their organisations, which is not just detrimental for them, but the people they care for too. “It is for this reason, that we felt a training day was essential to ensure the industry was fully updated on recent developments within the Court of Protection concerning a person’s deprivation in care home facilities and other general welfare matters. Mrs Roberts-Rees said the event also identified worrying trends surrounding a lack of proper implementation of the Mental Capacity Act in day to day practice. She added: “What we have learned is that some, not all, local authorities and health boards are failing to follow best practice to ensure that individuals’ rights are not being handled incorrectly. 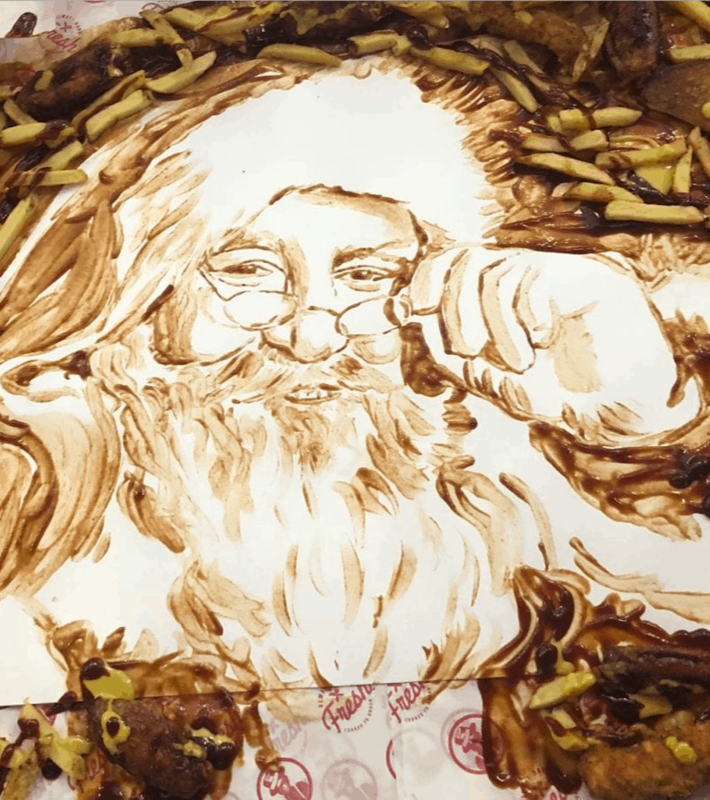 Renowned US brand Slim Chickens got into the festive spirit when it launched in Cardiff this week as food artist Nathan Wyburn created a special portrait of Santa. The Britain’s Got Talent Finalist who specialises in creating iconic celebrity portraits using non-traditional media, such as food, handmade ‘Father Chickmas’ out of Slim Chicken’s signature buttermilk marinated, hand-breaded chicken tenders and house sauces. The new restaurant, which is located in the food quarter of St David’s, opened its doors on Tuesday December 18th. The new 92-seater eatery brings an “unmistakable” flavour of the American south to Wales, featuring a mouth-watering menu serving up freshly made signature chicken tenders, chicken sandwiches and chicken wings, along with quintessential southern sides. Diners also able to choose from its famed 13 dipping sauces. And while enjoying its freshly made chicken dishes, customers can also treat themselves to a range of southern sides including mac and cheese, fried pickles and Texas toast, while those with a sweet tooth can indulge in a milkshake, fried pies and jar desserts. Adding to Slim Chickens’ Southern US ambience and relaxed vibe, there will be screenings of traditional American sports on TV along with modern blues music playing in the background. The flagship Cardiff launch comes just six months after Slim Chickens opened its first UK restaurant in London, just off Oxford Street, to widespread success. It has also proved to be a huge hit in America serving its mouth-watering dishes across 80 US outlets. Thanks to this success, UK franchise owners Boparan Restaurant Group (BRG) is now aiming to roll out the American restaurant chain to other cities across the UK next year. On the launch of the Cardiff restaurant CEO of Slim Chickens UK Tom Crowley said: “There is something totally unique about Slims with its freshly cooked chicken, house sauces, modern blues music and awesome hospitality. “We can’t wait to launch our very first restaurant in Cardiff and bring a flavour of the American south to Wales. We’re sure Cardiff’s foodies will love our southern dishes, sides, and hospitality. Now that the restaurant is open customers can claim a free chicken sandwich of their choice by downloading the Slim Chickens UK app. Once downloaded, a free sandwich token will appear in the rewards section within 24 hours and customers must show this in the restaurant to redeem their gift. Those that download the app will also get a tasty treat on their next birthday, with a variety of different mouth-watering desserts. With every purchase made at Slim Chickens, customers can scan their app to receive awards that will mount up to even more free chicken.